About South Kesteven Sports Stadium The sports stadium, otherwise known as a big athletics track by the locals as The Meres. The club moved into the Stadium in August 1991 after vacating their town centre home the previous October and ground sharing at Spalding in the interim period. The club did not own the London road site and in fact only sub let it from main leaseholders Grantham Cricket club. When that lease ran out the ground owners wanted to develop the site hence the supermarket that occupies the site today. One of the conditions of the development was that both the Football and Cricket clubs should be re housed and the developer provided funds for this. Unfortunately the club could not find a site for a new ground and eventually an agreement was reached with South Kesteven District Council for the developer’s funds to be combined with a large financial input from the Council to build the stadium. The Stadium was completed in 1991 at a cost in the region of £4m. The Stadium was built as a multi purpose venue and has an 8 lane international standard running track around the central football pitch. Although not ideal from the football purist point of view it does ensure year round usage of the facility.The club have a 10 year lease from South Kesteven District Council which gives them priority use of the stadium for football. The Stadium was originally constructed to Conference standards and although it would require some upgrading to achieve that level today it would certainly in its current form allow the club to play at a couple of levels higher than atpresent.The current Stadium record is 3695 for an FA Trophy quarter final tie against Southport in 1998 and probably the highest profile game was the FA cup tie against Leyton Orient in front of the Match of the Day cameras. How to get to the South Kesteven Sports Stadium From the A1 – Leave A1 at A607 Melton Mowbray exit. At island right towards Grantham passing under A1. Take the next left onto the A1 South slip road. At island turn right into Swingbridge Road and Industrial estate. Follow road to the end. At T junction turn left into Trent Road. Ground is on the right. From A607 Melton Mowbray – Enter Grantham passing under A1. Take the next left onto the A1 South slip road. At island turn right into Swingbridge Road and Industrial estate. Follow road to the end. At T junction turn left into Trent Road. Ground is on the right. From A52 Nottingham – At first island by Muddle Go Nowhere pub turn right into Barrowby Gate. Follow road through housing estate to the end. At T junction turn right into Dysart Road. Almost immediately turn left into Trent Road. Ground is on the left. From A607 Lincoln / Sleaford – Enter town passing hospital on the right. Go through 3 sets of lights and turn right at the fourth. After approx 100yards at the next lights filter left onto A52 Barrowby Road. Go over island by ASDA and pass under railway bridge. At next island by Muddle Go Nowhere pub turn left into Barrowby Gate. Follow road through housing estate to the end. At T junction turn right into Dysart Road. Almost immediately turn left into Trent Road. Ground is on the left. From A52 Boston – Enter Grantham downhill passing army camp. At first lights by McDonalds go over into Springfield Road. 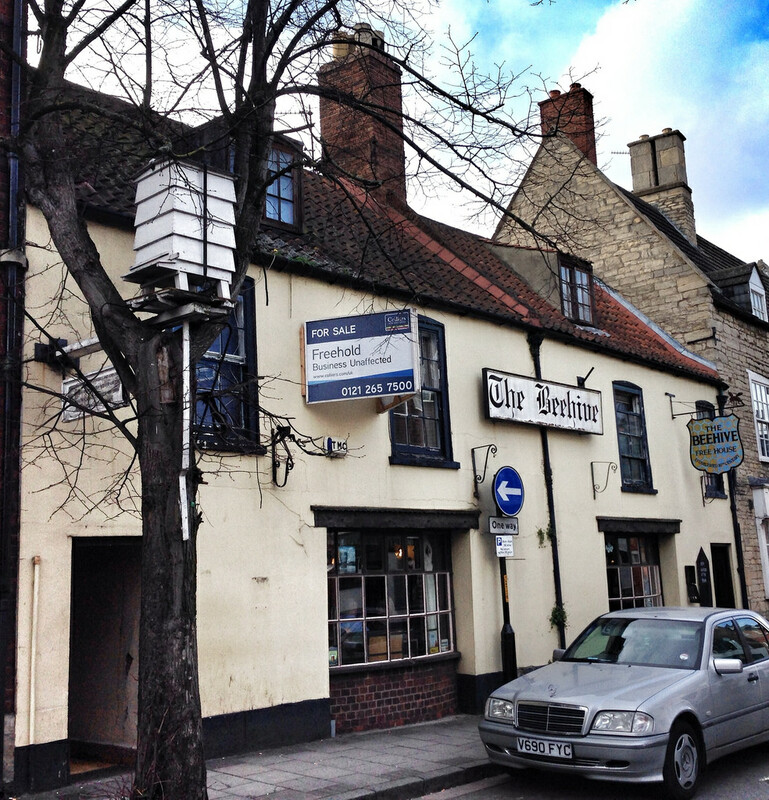 Go over lights by Isaac Newton pub into Trent Road. Ground is approx. 1 mile on the right. From the train station it is best to get a taxi which will cost £6. Admission to the South Kesteven Sports Ground Adults are charged £10, Concessions £6 and juniors under 7 years old are free. A family ticket for 2 Adults and 2 kids is just £10 for some game – see website for details. Transfer to the main stand is free. 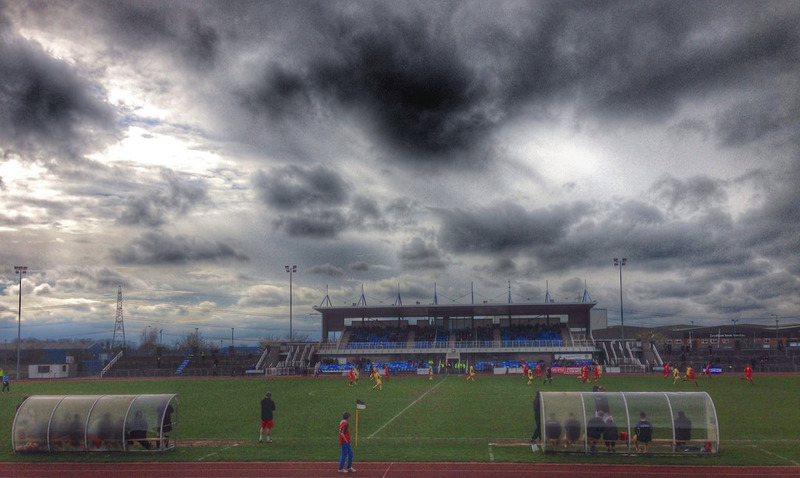 Our last visit – April 2014 Grantham Town v Frickley Atheltic…this wasn’t in the original plan. If I could have followed that dream then I would have been recovering from Energie Cottbus v Dynamo Dresden, nursing a hangover and preparing for Hallescher versus Hansa Rostock along with Danny Last, Kenny Legg and The Real Stoffers. Unfortunately work has got in the way recently and so I was swapping a “lively” atmosphere in the old East Germany for Lincolnshire. Whilst Stoffers was sending me pictures of a heaving Erdgas Sportpark, I would be rattling around in the South Kesteven Sports Stadium with 200-odd other fans. I could have been watching thousands of pissed-up German fans singing, chanting and waving stuff around in unison. I could have been watching the Dresden fans trying to take on the finest German riot police. I could have been wolfing down bockwurst, brautwurst, bierwurst and the odd knackwurst. I could have been indulging in Hefeweizen, Helles and a cheeky Dunkle. But who really wants that when, and I quote the oracle that is Wikipedia about Grantham:- “Grantham has the country’s only ‘living’ public house sign: a beehive of South African bees situated outside since 1830” Grantham is also notable for having the first female police officers in the United Kingdom, notably Edith Smith in 1914, and producing the first running diesel engine in 1892, and the UK’s first tractor in 1896. Take that the EFW turncoats! I can see you seething with jealously from here. But I am focusing on the positives. I’m in the English sunshine, with Northern Steve enjoying a game at a new ground. Yes, it may be an athletics stadium, and the crowd may be a bit on the thin side but I am doing what I love most, well almost. And if I really am bitter and twisted about not being in Germany I can have a wander down Sankt Augustin Way, named after Grantham’s twin town in Germany and feel marginally better. 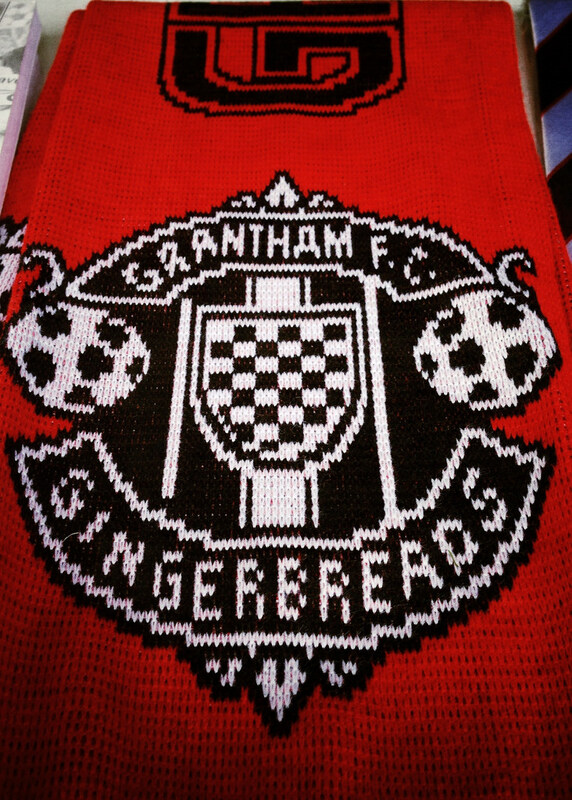 When I looked into the history of The Gingerbreads they seemed to major on one event. Yes they once finished 2nd in the Southern League and could have applied to promotion to the Football League, back in the day when it was all done via a wink and a nod, and yes two years ago they won the Northern Premier League South Division but ask anyone about what they may know about Grantham Town and they will almost probably maybe say “Isn’t that where Martin O’Neill started his managerial career?”. Yes, indeed. But let’s look back at that golden period at the start of the 1970’s. Successive promotions through the Midland and Southern League North saw them take their place in the Southern Premier Division in 1973. An impressive FA Cup run that saw them beat Kettering Town, Hillingdon Borough and Rochdale saw the Gingerbread’s host Middlesborough, then as now in the second tier of English football in the 3rd Round of the cup. A crowd of over 6,500 in their old London Road stadium saw them bravely go down 2-0 but the gate receipts allowed them to kick on in the Southern League and they finished runners-up to Dartford but decided not to apply for a place in the football league. O’Neill joined the club in 1987 after retiring from playing in 1984 and managed them for two Southern League (Midland) seasons before heading to Shepshed Charterhouse. Few who saw his team or management style would have ever anticipated that he would go on to manage at the highest level. But that was then, and this is now. Unlikely to be relegated, unable to be promoted or make the play-offs, there is a danger that their season would fizzle out in the April gloom. It’s not often that Northern Steve and I get the opportunity to have an afternoon out without our respective wonderful ladies so I am sure it would be the best game ever…and at no point would my mind be wandering eastwards to the land of beer and brautwurst. Honest. Grantham Town 2 Frickley Athletic 1 – South Kesteven Sports Stadium – Saturday 5th April 2014 For the best part of the first hour of this game I didn’t actually make any notes. It wasn’t the best of halves, with both teams struggling with a bobbly pitch and the difficulties that come with playing in a “multi-sport arena”. Frickley looked the brighter side but neither set of fans had anything to shout about. Things livened up at half time, with the very smart bar rammed full of away fans singing songs about their love of Grantham’s favourite daughter, Margaret Thatcher and accompanying every Sky Sports half time score with a oooh or an ahhhh. In fact I was quite happy to stay in the bar drinking a couple of pints of Hophead and watching the Grand National rather than emerging for the second half. We looked longingly at the score at Chorley versus Droylsden and wished we were there, with the home side already seven (SEVEN!) goals to the good. But sense prevailed eventually and we emerged for the final twenty minutes. Whilst Frickley were dominating play, they needed a win. Other scores were putting relegation pressure back on the The Blues (playing in yellow – after all the clash of colours with a team in red was just too much) but with eight minutes to go a ball was played over the top and Hinsley ran onto the ball and smashed it home. The good mood of the away fans lasted just four minutes. A corner to the far post was driven back across the goal and Lister stuck out a foot and diverted it into the net. If that was harsh for Frickley then injury time brought heartbreak as a free-kick from the left hand touchline was met at the far post where Michael Towey headed home to give the spoils to the home side. It hadn’t quite been up there with the atmosphere at Energie Cottbus versus Dynamo Dresden, nor had my pint of Hophead been served by a buxom young lady in a dirndl. My sad face was plain for Northern Steve to see. “Cheer up lad…we have a night out in Lincoln to look forward to. I mean who in their right mind would rather be in Leipzig?”…..